Are we satisfied with the rate of drug development? Are we happy with the drugs that come to market? Are we getting our money’s worth in spending for basic biomedical research? In Translational Systems Biology, Drs. Yoram Vodovotz and Gary An address these questions by providing a foundational description the barriers facing biomedical research today and the immediate future, and how these barriers could be overcome through the adoption of a robust and scalable approach that will form the underpinning of biomedical research for the future. By using a combination of essays providing the intellectual basis of the Translational Dilemma and reports of examples in the study of inflammation, the content of Translational Systems Biology will remain relevant as technology and knowledge advances bring broad translational applicability to other diseases. 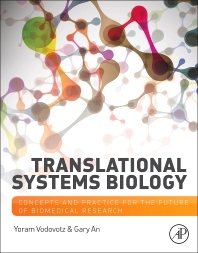 Translational systems biology is an integrated, multi-scale, evidence-based approach that combines laboratory, clinical and computational methods with an explicit goal of developing effective means of control of biological processes for improving human health and rapid clinical application. This comprehensive approach to date has been utilized for in silico studies of sepsis, trauma, hemorrhage, and traumatic brain injury, acute liver failure, wound healing, and inflammation. Biomedical researchers of complex diseases working on systems-driven approaches to clinical diagnosis; biomedical entrepreneurs looking for rational, cost-effective, and unified means of driving drug/device development from the pre-clinical stage to clinical trials and ultimate use in the marketplace. The Mapping Problem: Back to Plato? Chapter 2.4. Randomized Clinical Trials: A Bridge Too Far? Patterns in Physiology: Is There a “There” There? Statistical and Data-Driven Modeling: A Place for Big Data in Translational Systems Biology? Yoram Vodovotz, Ph.D., is currently the President of the Society for Complexity in Acute Illness. His research interests include the biology of acute inflammation in shock states, chronic inflammatory diseases, wound healing, malaria, and restenosis. His work utilizes mathematical modeling to unify and gain insight into the biological interactions that characterize these inflammatory conditions. As the Director of the Center for Inflammation and Regenerative Modeling (CIRM) at the University of Pittsburgh’s McGowan Institute for Regenerative Medicine, he has been involved in the mathematical modeling of acute inflammatory states (e.g. septic or hemorrhagic shock, wound healing), including cellular and physiological elements, as part of a large, interdisciplinary collaborative team. He is also a co-founder of Immunetrics, Inc., a company that is commercializing this mathematical modeling work. Gary An is a trauma/critical care surgeon at The University of Chicago engaged in translational computational research. His work on system-level simulations of trauma and sepsis led him to a more general concern about the ability of biomedical researchers to represent their knowledge and hypotheses in a form that can be “executed,” so that the dynamic consequences of their hypotheses can be seen and evaluated. 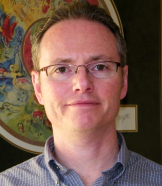 He is the author of over 59 primary papers and book chapters, is a Senior Fellow of the University of Chicago Computation Institute and current president of the Swarm Development Group for simulation software.